ZONE 6 PCA - "Zone Grand Tour"
Announcing the 2019 PCA Zone 6 Grand Tour. Running from June 22 to June 30, this tour will travel in each of the 10 Zone 6 regions located in Washington, Oregon, Idaho, and British Columbia. We will see mountains, forests, deserts, glaciers, great rivers and the Pacific Ocean. Each region has selected a route which best exemplifies touring in that region. The Zone 6 Grand Tour consists of 9 driving days. Your participation can be tailored to your available time and interest. You can join for a day or all days. You can join for the PNWR kickoff day and the Oregon completion day. Mix and match as you like. The most adventurous will experience the whole tour. 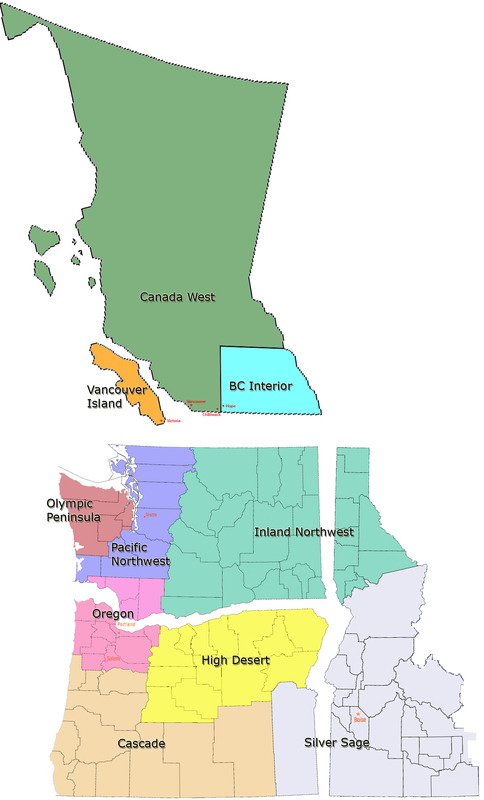 The tour route will start in PNWR, head to the Olympic Region, cross to Vancouver Island by ferry, go east through BC, Washington, Idaho and Oregon. Planned total distance is 2000+ miles. Tour route details, recommended hotels, ferry information, and tour map available on the Zone 6 website. Come see the grandeur of Zone 6 with the Grand Tour. Participants will be responsible to make their own hotel and ferry reservations. A list of recommended hotels and required ferry reservations will be available on the Zone 6 website. Registration is required and is available, at no charge, on motorsportreg.com.